It towers over the city. 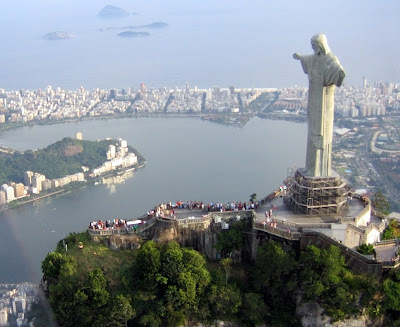 The largest Art Deco statue in the world, Christ the Redeemer looks down on Rio de Janiero, Brazil, arms open wide as if to gather the city in his embrace. 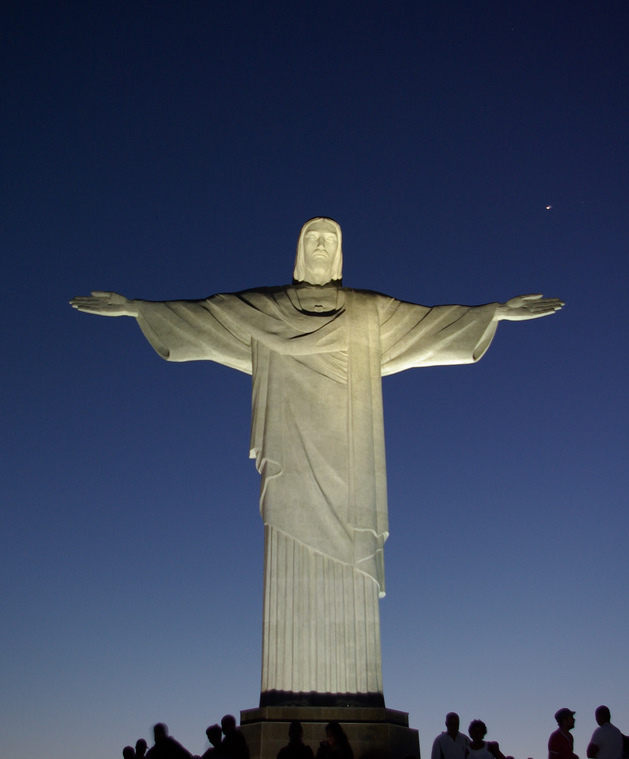 The iconic statue is instantly recognizable; for most of the world, it has come to symbolize Christianity. 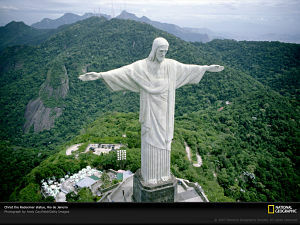 But for the residents of Rio de Janiero, Christ the Redeemer embodies the very essence of their city. Christ the Redeemer is 130 feet tall, and towers far above the city from its perch on Corcovado Mountain, 2,400 feet above sea level. At one time people had to climb 220 steps to get to the statue’s platform. People felt that the arduous undertaking was well worth the effort: the view from the top encompassed the city, the mountains, and white beaches. Now, though, escalators and panoramic elevators make it easier to get around, and visitors can experience the view without enduring the climb. Tijuca Forest National Park, the largest urban forest in the world, is located below Corcovado Mountain. The platform of Christ the Redeemer offers an incredible view of the forest, which was planted by hand in a successful effort to conserve the country’s supply of water. The idea for a religious monument on Corcovado Mountain was proposed in 1921 and the idea was accepted enthusiastically by the people, who were predominantly Catholic. People from every corner of Brazil donated money through the Church and debated what form the statue should take. A simple cross was considered, and many liked the idea of a statue of Jesus holding the world in his hands. Finally the people chose a representation of Jesus standing over the city, holding his arms out as if in embrace. Heitor da Silva Costa, a local engineer, designed the statue, and it was sculpted in France out of reinforced concrete by Paul Landowski. Then it was shipped to Brazil, where it was covered with soapstone for durability and placed in its current location. Construction of Christ the Redeemer took almost ten years. The statue was unveiled on October 31, 1921, and illuminated by lights designed by Marconi. 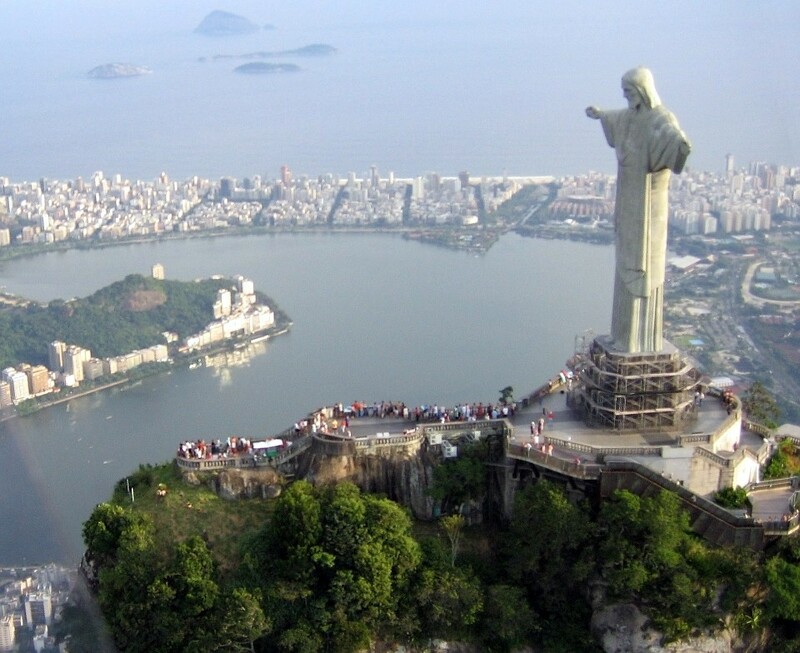 In anticipation of a visit from Pope John Paul II in 1980, the city of Rio de Janiero decided the statue was dirty. They decided to wash it. The job took 500,000 gallons of water and several tons of soap—but the Pope saw a clean statue! 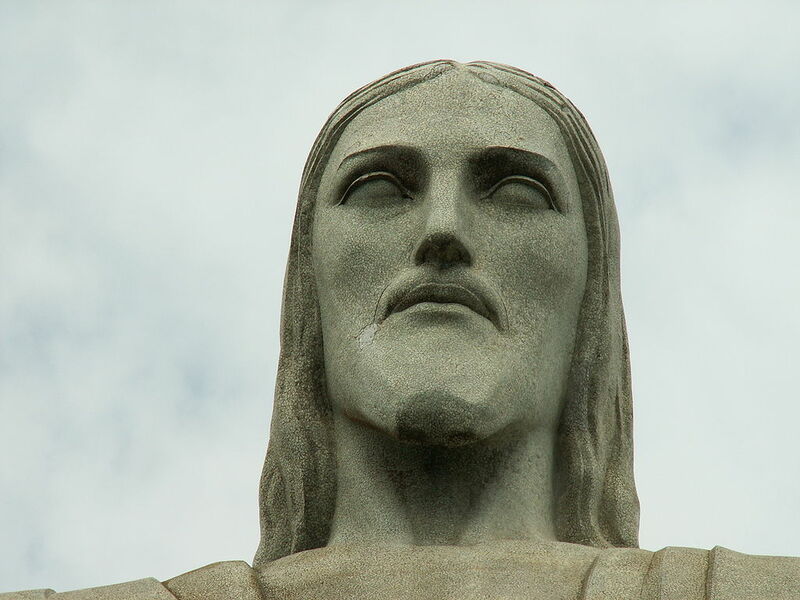 In addition, Christ the Redeemer has gone through several restorations. In 2003, escalators and elevators were added, and a restoration in 2010 repaired lightning damage to the structure using stone from the same quarry that supplied the original building materials. 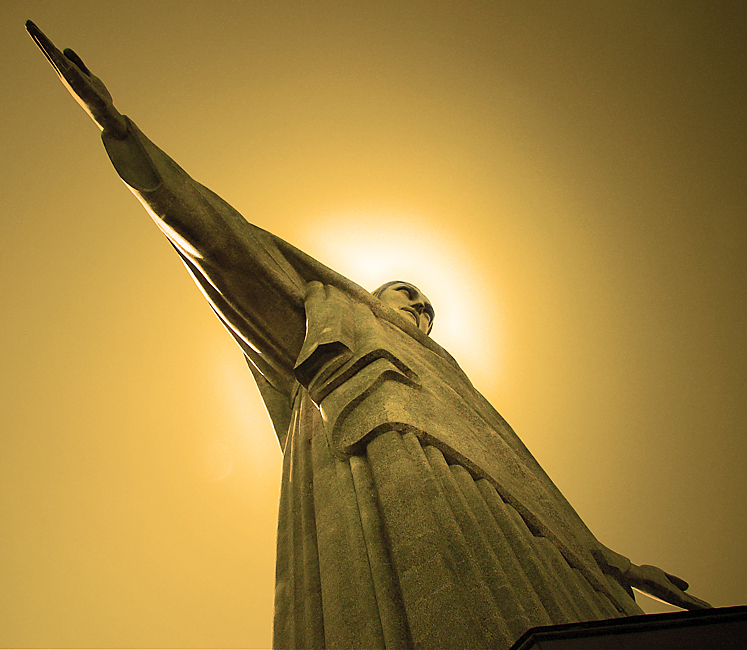 Christ the Redeemer was unveiled after this restoration, and the country celebrated by lighting it with the colors of Brazil’s national football team. In 2007 the statue was named one of the new wonders of the world.